During the seventeenth and eighteenth centuries, prosecutions and executions for the crime of witchcraft declined in number and eventually came to an end. The decline occurred in all European countnes where witch-hunts had taken place, from Scotland to Transylvania and from Portugal to Finland. The same process took place m those colonial possessions of Spam, Portugal, England and France where ecclesiastical or temporal authorities had brought witches to tnal. The decline was marked by an increasing reluctance to prosecute witches, the acquittal of many who were tried, the reversal of convictions on appeal, and eventually the repeal of the laws that had authorized the prosecutions. By 1782 the last officially sanctioned witchcraft execution had taken place, and in many jurisdictions witchcraft, at least as it had been defined in the sixteenth and seventeenth centuries, had ceased to be a crime. Individuals continued to name their neighbours as witches, and in some cases they took violent action against them, but they did so illegally and at the risk of being prosecuted themselves. The purpose of this essay is to explain how and why the great European witch-hunt declined in intensity and eventually came to an end. It will cover the entire period of that decline, from the time when the prosecutions first began to taper off until the conclusion of the last tnal. It does not deal with temporary lulls m the process of witch-hunting. Periodic reductions in the number of tnals and executions occurred in almost every. European jurisdiction during the sixteenth and seventeenth centuries, and they merit close historical investigation, but they do not concern us here. This essay deals only with the later stages of the process, when witch-huntmg finally lost its grip on local communities and when a decline m the number of tnals ied to their complete termination. In some cases that final decline was related, as either cause or effect, to formal declarations that witchcraft was no longer a crime. In studying the decline of witch-hunting, we need to distinguish between the number of prosecutions and the number of executions. Marked reductions in both of these totals occurred in the late seventeenth and eighteenth centuries but they did not always coincide. In many jurisdictions, most notably in England and Denmark, the last executions long preceded the last tnals. We must also distinguish between the end of large witch-pamcs or chain-reaction hunts and the end of all prosecutions, including occasional, isolated tnals. In many German terntones, for example, the great panics, which had always involved charges of collective Devil-worship, had all but disappeared by 1670, but individual tnals, and even a few small pamcs, continued for nearly another one hundred years. The reduction and eventual end of witch-hunting occurred at different times m the vanous kingdoms and regions of Europe, in some countries, such as the Dutch Republic, the decline in prosecutions became evident before the end of the sixteenth century, while m others, like Poland, it did not begin until the middle of the eighteenth century. The length of time that the entire process took also vaned greatiy from place to place. In Scodand, for example, the initial reduction in the number of prosecutions was followed by more than 50 years of tnals, whereas m Franche-Comte and colonial Massachusetts witch-hunts came to a complete end only a few years after the courts started to discourage prosecutions. Even the legislation declanng that witchcraft was no longer a cnme was passed at different stages of the process. In some kingdoms, such as Hungary and Prussia, the- formal decriminalization of witchcraft preceded and was largely responsible for the end of witch-hunting, whereas in Great Britain and Denmark it did not occur until long after the trials had stopped. Histonans of witchcraft have traditionally given much more thought to the question why the tnals began than why they came to an end. Until the middle of the twentieth century those who bothered to address the latter question at all attributed the decline m one way or another to the emergence of modern rationalism, the nse of science, or an even vaguer dispelling of ignorance and 'superstition'jXecky, 1910: 1-138). This interpretation arose dunng the Enlightenment, and it became the backhone of late nineteenth- and early twentieth-century liberal and Whig historiography. Histonans writing m this tradition focused mainly on the content of published witchcraft treatises and the theological and philosophical controversies to which those ¡treatises contributed. They assumed that the decline of witchcraft prosecutions had been caused by a decline in the witch-beliefs of the educated! classes and therefore made little distinction between the two developments. The end of the trials thus became synonymous with the enlightened rejection of the demonological ideas that had provided the intellectual foundations of the witch-hunt. 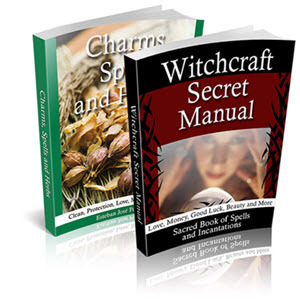 In the last thirty years historians of witchcraft have begun to take different approaches to this problem of the decline of witchcraft. While by no means ignonng the published treatises, whose influence remains a subject of scholarly debate, they have begun to focus on the decisions of the judges, inquisitors, jurists and magistrates who staffed the courts where witches were tned. Histonans have, for example, studied the ways in which Spanish Inquisitors, the members of the pariement of Pans, jurists on the law faculties at German universities, and the judges who presided at the English county assizes succeeded in reducing the number of executions for witchcraft within their jurisdictions (Mandrou, 1968; Soman, 1978; Henningsen, 1980; Lorenz, 1995; Sharpe, 1996: 213-34). These studies have shown, moreover, that the judges who brought the trials to an end displayed a much deeper belief in the reality of witchcraft than the 'enlightened'- authors of contemporary witchcraft treatises. Further questions regarding the validity of the 'enlightenment model' of the decline of witchcraft have come from social, economic and cultural historians who have suggested that changes in the system of poor relief, the altered mood of local communities in the wake of large witch-hunts, the reform of the profession of popular healers, and the success of the state in christianizing and disciplining the rural population may have played a role in reducing the number of witchcraft accusations and prosecutions (Thomas, 1971; ch. 18; Midelfort, 1972: ch. 6; Varkonyi, 1991-2). Research on the decline and end of witch-hunting has resulted in the formulation of very few general theories that apply to all of Europe (Soman, 1989). Almost all of the modern scholarship on the subject has had a local, regional or national focus, and interpretations emerging from the study of one locale do not always apply to others (Monter, 1976: 37—41; Soman, 1978; Klaits, 1982; Johansen, 1991-2; Lorenz and Bauer, 1995b). The vast chronological gulf that separates the decline of witch-hunting in the Netherlands and France from the parallel phenomenon in Hungary and Poland makes it even more difficult to establish working models or unifying themes (Muchembled, 1991-2). What is more, the developments that account for the initial decline of witchcraft prosecutions m many jurisdictions do not always explain why the trials came to a complete end or why witchcraft officially ceased to be a crime. This essay will take three different approaches to the problem of the decline of witch-hunting throughout Europe. First, it will identify and illustrate by way of example the general reasons why prosecutions declined in number throughout Europe. It will attempt to be comprehensive in this regard, covering legal, intellectual, religious and social explanations, but it will emphasize changes m judicial procedure and the growth of judicial caution in the trial of witches. Second, it will trace the decline of witch-hunting in five national case studies as a way of illustrating the intersection of some of the general causes discussed m the first part of the essay. These case studies will also establish similarities and differences between the patterns of decline in countries which followed different judicial procedures. The third part of the essay will explore the actual decriminalization of witchcraft in the various countries of Europe and two broad shifts m the administration of criminal justice that accompanied the entire process of decline: the trial of individuals for specific crimes once included within the general category of witchcraft and the prosecution of those who took malicious, violent or otherwise illegal action against persons whom they suspected as witches. Want to live a stress-free, abundant life? 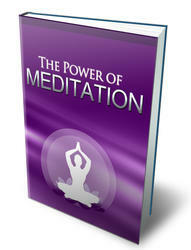 Discover The Power of Meditation And How It Can Work For You To Increase Your Success In Your Personal And Work Life. 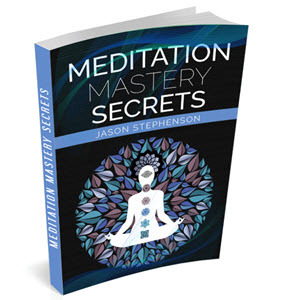 Use These Steps To Practice Meditation In Your Life And Business.